Home of the Groove: Mary Jane By Any Other Name. . . .
Once again, it's been too long since I've put up anything from the distaff side of New Orleans soul and funk. To remedy that, I'll kick off another round-up of female vocalists with three tunes from my archives by one who , at a young age, had a very brief fling with the local music business and just maybe missed a shot at bigger things. Mary Jane Hooper's recordings as a solo artist were all done with the supervision and collaboration of Eddie Bo. As has often been the case with Bo's projects of the era, for years there were elements of mystery and myth surrounding the nearly forgotten singer and her sessions. Fortunately, much of that was dispelled with the release of theTuff City/Funky Delicacies 1997 CD compilation of Hooper's recordings, Teach Me, the first edition of which had problems (my copy had only 9 of the 13 listed tracks!) and was later re-issued as Psychedelphia with all of Hooper's known sessions, both issued and unissued. The CD initially came out under the singer's actual name, Sena Fletcher, which was a revelation in itself; and Scott Jordan's brief but well-done notes provided more valuable background about the singer. According Jordan's research, Fletcher, who had already been singing for years in the Baptist church, first approached Allen Toussaint about getting into the music business when she was just a teenager in the mid-1960s. 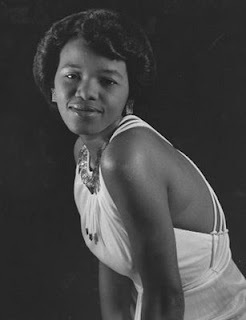 Toussaint auditioned her and, quickly recognizing her vocal ability, hired her to be part of a vocal trio, dubbed the Triple Souls, who would sing back-up on sessions for various artists, including the hit-making Lee Dorsey, who they also accompanied on tour. After getting some studio experience, Fletcher began asking Toussaint if she could make her own record; but he would always tell her that she wasn't quite ready. Further light on Mary Jane Hooper's career and recordings has been shed by Martin Lawrie on his amazing discography and tribute to Eddie Bo at soulgeneration. According to Martin, who has interviewed Bo numerous times, Fletcher and the Triple Souls, which included Inez Cheatham* (who also recorded a fine duo record with Bo) and Mercedes Morris, were also working on sessions Bo was producing during the period; and, it seems he was much more open to developing Fletcher as a solo artist. At the time, Eddie was doing A&R work for Scram Records, owned by Al Scramuzzza , a New Orleans seafood merchant. As he had done previously at Joe Banashak's Seven B label, Bo wore many hats at Scram, doing talent scouting, artist development, production, songwriting, arranging, and keyboard playing, plus recording as an artist himself (at least once, using an alias). You can read more about the incredible ins and outs of Bo's recording career in Martin's commentary to his discography - fascinating stuff. One thing thing Martin has wondered about and that Jordan did not clear up is why Bo and/or Scramuzza, changed Sena Fletcher's perfectly good name when they signed her. Be that as it may, the young Ms Fletcher/Hooper soon became one of Eddie's artists in development for Scram and its related labels; and he worked closely with her getting some tracks together, probably in 1967. During her brief run, Mary Jane Hooper had a total of three releases on the Scram subsidiary labels, Power and Power-Pac, plus one single that came out on the World Pacific label, which we'll talk about in more detail later. Frankly, none of the material that made it to vinyl was top rate, probably due mainly to Scramuzza's limited resources. Her first record, "Harper Valley PTA" / "That's How Strong Love Is" appeared on Power 2051. Yes, that's a cover of Jeannie C. Reilly's "Harper Valley PTA", the country hit, written by Tom T. Hall, but with an uptempo, funky arrangement by Bo - a strange choice for a young soul singer, but one of Hooper's better sides. It's hard to come by these days. I've yet to score a copy. But I do have her second 45, which is detailed below. Her third is also extremely rare, the strong two-part funk mover "I've Got What You Need", which appeared on Power-Pac 2055 and had a very limited release. Scramuzza was putting out these 45s locally to some extent; but they were not getting much promotion, because his main intent was to wheel and deal Hooper onto a larger label. To that end, he was in negotiations with Jerry Wexler of Atlantic Records about licensing her material or buying her contract. The song that really had gotten Wexler's attention was "Teach Me", on the second single. However, he did not go for the low-rent production, and wanted to redo the song and some of the others in New York. But in the end, Atlantic could not come to terms with Scramuzza, who was asking too much for Hooper's contract; and Wexler withdrew, telling Mary Jane to contact him when she was free from Scram. For reasons unknown, "I've Got Reasons"/"Teach Me", Mary Jane Hooper's second single, was issued three times, appearing as Power 2053, Power-Pac 2053, and Power AR-105-4051/4052 around 1968. Despite the multiple attempts, it did not fare well commercially, probably due to the fact that Scramuzza was working the business angles on Hooper instead of aggressively seeking airplay and creating a popular demand for her records, which might have tempted Atlantic or some other label to invest in her. Contrary to what is printed on the label, Bo produced, arranged and wrote both sides. The only reason Scramuzza (whose photo graces the hole shot above) was listed as producer and co-writer was to give him a slice of any royalties generated. An unambitious mid-tempo groover, "I've Got Reasons" was not one of Bo's best compositional efforts. It used the same changes for both the verses and chorus, with only a brief instrumental bridge to freshen things up a bit. The short ascending/descending intro is pretty much the best hook in the song. Like a good actress with a weak script, Hooper didn't get much to work with, making it hard to vocally overcome the song's repetitive monotony. Understandably, she just doesn't sound inspired. It wasn't a truly bad side, just not all that great. Fortunately, Bo redeemed himself on the flip side and gave her a better showcase. Listening to "Teach Me", it's not hard to see why Wexler thought Hooper had potential. As she navigated the rather complex structural changes of this substantial ballad, her voice still lacked maturity, as when she lost some control and oversang on the bridge; but the essence of a promising singer can be heard in her delivery. Hooper had dynamics, nice phrasing, and handled the jazzy soul of the arrangement with ease. Unfortunately, the backing band's performance was a bit hit and miss. It's as if they were unfamiliar with the tune, and reading charts on an early take. Probably working on a limited budget from Scramuzza, Bo was either not able to fully rehearse the band or do too many takes - or both. Thus, it's understandable that Wexler would have wanted to take the tune into the Atlantic studios and give Hooper a much more smooth and sophisticated track to work with, had he been able to sign her. Not that the players Bo was using were slouches. Fletcher/Hooper recalled to Scott Jordan that some of the musicians who worked her sessions were greats like Smokey Johnson or James Black on drums, George Davis on bass, Walter 'Wolfman' Washington on guitar, Fred Kemp on sax, and, of course, Bo on keyboards. At least some of them were likely playing on these two sides, although I don't think George Davis is doing the rather plodding bass lines. He had much more finesse than that. Still, overall, no matter who was playing, the Mary Jane Hooper sessions often had the sound of demos, rather than finished products. As with many producers expected to run sessions with minimal expense, Bo simply took what he could get quickly and tried to make it work. As well as trying to get Atlantic Records to take on Hooper, Al Scramuzza was also shopping her sessions around to other labels. The only one that responded and released a single on her was World Pacific, based in Hollywood, CA, which had a strong jazz catalog through the 1960s and was getting more into pop music later in the decade. Singer/songwriter Bob Lind was probably their biggest non-jazz artist. In 1968, the label re-released Hooper's "That's How Strong Love Is" as the A-side, a catchy soul tune with a gospel feel written by Eddie Bo that had been on her first solo single for Power; but strangely, the stronger novelty side, "Harper Valley PTA", was left off in favor of "I Feel A Hurt", a rather run-of-the-mill soul ballad by Bo that Hooper and the band struggled to deliver convincingly. It might have been that the rights to the country song could not be secured for national release. In any event, the single did nothing, or might even have been purposely ditched by the label; and they declined to release anything else on her. Although Hooper turned in a convincing reading of "That's How Strong Love Is", joined by Bo (see hole shot) on the choruses, it was simply not the kind of material World Pacific dealt with. In 1968 they were mainly releasing hippie pop acts and Maharishi Mahesh Yogi records. Not a match made in heaven, despite James Black writing the trippy showtune, "Psychedelphia" for her, which might at least have helped her fit in to the California vibe, had she gotten another shot with the label. It would seem Scramuzza was far better at selling fish than luring label deals. His only really big success was Bo's 1969 high funk smash, "Hook and Sling", which got into the Top Ten nationally on its own and was then picked up by Scepter Records, providing for at least one decent payday to cover some of his losses. When Bo couldn't conjure a follow-up hit, Scramuzza closed down his label operations around 1971 and went back to his seafood business. Discouraged with her lack of progress in music, Sena Fletcher decided to bow out of the business due to impending motherhood and never worked again with Bo, who kept doggedly making records, mainly on his own small labels; and she never did call Jerry Wexler to see if he was still interested. Other than performing briefly with a local rock band a few years later and doing some recording with Willie Tee that wasn't issued, her music career was over. Many of her best studio performances from the sessions with Bo, including "Don't Change Nothin'", "Remember When", "I'm In A Loving Groove", and even "Psychedelphia", were never pressed and remained unheard until the CD release some 30 years later. They are well worth pursuing in the digital domain, if you want a fuller idea of what Hooper had to offer. Despite her relative rediscovery, it doesn't appear that Sena Fletcher has gotten back into performing or recording. Unless she reconsiders, we'll never know what a grown-up Mary Jane Hooper sounds like or what she could have brought to the New Orleans or national music scene; and she will remain a footnote figure whose recorded output never matched her promise. Fortunately, I had the pleasure of being on the inside, so to speak. Of course, back in the day, my girls and I (The Triple Souls: Inez Cheatam, Sena Fletcher, and Mercedes Morris-Davis) were just a trio of nameless voices who were heard on many of the sessions being produced by Allen Toussaint/Marshall Sehorn, Wardell Quezerque, Eddie Bo and others. I had the pleasure of singing background on sessions with Betty Harris, Lee Dorsey, Johnny Adams, Curley Moore, Eldridge Holmes, Aaron Neville, and The Meters. You can read Ms Morris-Davis' complete comments in my August 13, 2006 post. When I did the documentary on James Black, I asked Scramuzza about Psychedelphia. He said that Black told him it was about a drug trip from beginning to end, both the bad and the good of it. Thanks, JL. That song is certainly structurally more interesting than the average ode to drug induced states from back then. I called it a showtune, because, with all the verbal exposition, it sounds like a lost song from 'Hair'. Black should have done his own Psychedelphia musical! That would have been a trip. "Fletcher and the Triple Souls, which included Inez Cheatham (who also recorded a fine duo record with Bo) and Mercedes Morris, were also working on sessions Bo was producing during the period"
so, Inez Cheatham is actually another person than Sena Fletcher?.....not just a pseudonym?.. Sorry to create confusion, ana. But, for starters, nothing related to Eddie Bo is exactly "common currency" - unless your exchange rate is really funny money. According to Martin at soulgeneration, Eddie Bo has told him that Inez Cheatham was a real person - not another alias for Sena Fletcher - and was a member of the Triple Souls. This is viewable on the Bo discography. Click on Power label and read more about Hooper and her singles. That link you found goes back to one of my very early posts (1/2/2005)on Bo's duet with Inez, Lover & A Friend, in which I said that Cheatham/Fletcher/Hooper was one entity - which is what my research told me at the time. I need go go back and rewrite that one - as some people actually read these posts (!!!!!! ), and might wonder why I am contradicting myself. I appreciate your bringing it to my attention and your interest in these matters. As you may have realized, I am not any great authority on any of this stuff. I have a lot of the music, have listened to it and tried to find out more about it for years, and have opinions - HOTG is just one person's viewpoint. I try to base those options on research and not just speculate wildly. But, often, I have far more questions than answers. Take anything I present with a grain of salt and don't be shy about calling me out. I do this blog to just maybe help make others more aware of these artists and their music and to provide what information I can dig up about them, so that it is searchable in the internet. It's a process - and, as always, I invite and appreciate your comments, questions, and enlightenment. So, until I run into Sena or Inez, myself, I'll have to take Eddie's (and Martin's) word for it. By the way, I was contacted a good while ago by Mercedes Morris, who wrote some fine commentary about the Meters and Sam & the Soul Machine. I emailed her about talking with me - but she was not available at the time. I should really try to get back in touch with her and see what light she can shed on any of this. Great write-up Dan. Lots of stuff here I didn't know. I agree that there's a fair amount of conflicting information floating around Bo, and the rest of the NOLA music scene in general, and I often wonder who really has the straight story. If you get back in touch with Mercedes Morris, you have to give us an update. Just like to say thanks for a great post. Dan, thanks for the interesting and valuable stories about the local artists. As a New Orleans native, I appreciate the background stories. None of this was talked about back in the 60s and 70s. People were too busy partying and such!!! Aging is a wonderful thing. Loved the article on Mary Jane Hooper and have now got the cd. It's really opened my eyes to this kind of music. I currently present a weekly Mod influenced show here in the UK at www.rhubarbradio.com called The Beat Generation. Would love to get Mercedes Morris, Inez or Sena herself of the show if at all possible. Perhaps we can have a chat at some point. 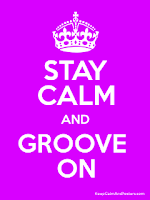 Feel free to drop me a line at studio@rhubarbradio.com. Thanks for sharing all of this. I just started working for Al Scramuzza's son Nick at Lost Love Lounge, and was trying to find out more. Al's recent interviews weren't so much about music, so this is great. This may or may not be relevant or help in further research, but US public records (accessed at Ancestry.com) show a Sena J. Fletcher, born 13 September 1947, living in Metairie, LA, in 1986, and Slidell, LA, in 1993.